So you’ve done the work, serviced the customer or patient, and sent the invoice out. Your staff has sent a statement and followed up and after 30 or 60 days, you still have not received payment. Now what? 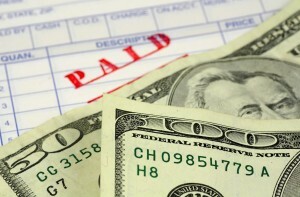 American Profit Recovery can craft a debt collection strategy that’s just right for your business. We offer a number of proven solutions that can get your profits back on track in no time. Regardless of the type of business you operate, we can help. We have been endorsed by countless trade organizations in a whole host of industries so in short, if you have outstanding receivables, we can help. Whether your business is lawn care, medical, dental, banking, or any other industry, we have the programs that can get you paid. APR has a team of experts that will develop a course of action that is right for you; building your cash flow and getting you paid. And that team is what sets us apart. Our staff is made up of college-educated professionals who are eager to help you and are constantly improving through our professional development programs. From our Tier I Receivables Solution where you can pay no more than $22.00 per account, to our more concentrated Tier II Recovery Solution for more stubborn accounts, APR has the services that fit your debt collection needs. We also have the availability of credit bureau reporting and legal options for those accounts that need the extra steps and are the right fit. Don’t wait another minute to be paid what you are justly due and increase your profits. Contact American Profit Recovery today and let our team get to work for you!